How to buy the best low flow shower head, and a look at how much it can save you in water costs. Includes information on shower head features and water-saving technologies. If you’re like many people, you may have a shower head that offers a very satisfying shower but uses a tremendous amount of water. 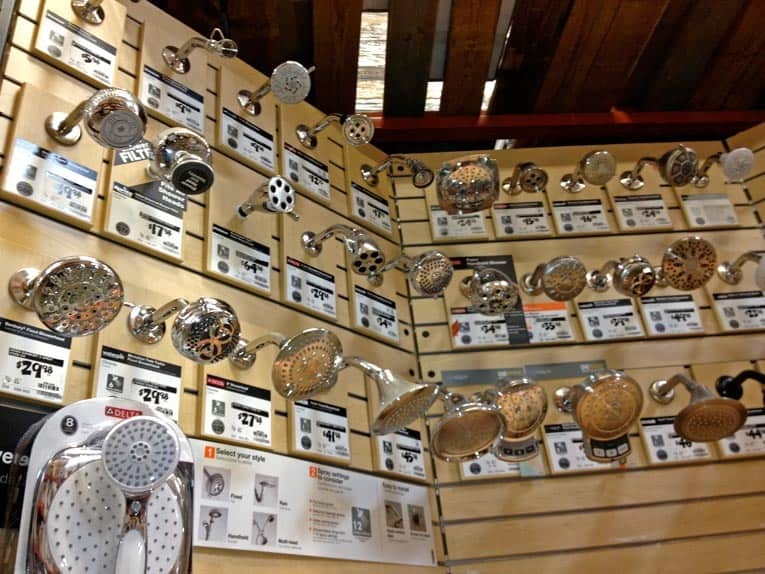 Shower heads are sold in an overwhelming variety of types and styles. This guide will help you find one that works well and saves water. Shop now. 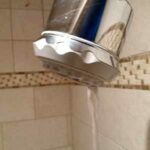 Or you may have the other extreme: an incredibly efficient shower head that makes you wonder if the water is turned on. The trick is to have a low flow shower head that offers a satisfying shower while using a minimum amount of water. Shower heads are measured by flow—the number of gallons they deliver per minute (gpm). Flow is affected by water pressure, measured in pounds per square inch (psi). The greater the pressure pushing water through pipes and shower heads, the greater the volume of water forced out. Low-flow shower head combines water-saving technologies. Water pressure on the high side—80 psi, for example—will push a greater amount of water through a shower head than low water pressure, say 20 psi. This same principle is in effect when you don’t turn on the water full blast. Water pressure varies from community to community and even from house to house. A few years ago, shower heads delivered about 5 to 8 gallons per minute (gpm) at 80 psi. The current standard for low flow heads is 2.5 gpm at 80 psi. Some low flow shower heads deliver only 1.6 gpm. A quality low flow shower head will feel good at both high and low water pressures. Some have flow restrictors that can be reversed or removed to allow more water through on low-pressure lines, allowing you to achieve the right amount of water flow for your water pressure. Low-flow shower head gives a sturdy spray, using only 1.25 gallons per minute. Buy on Amazon. Others have restrictors that work automatically. 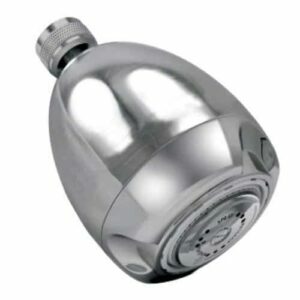 For example, Teledyne Water Pik, at about $30, offers one highly rated “Shower Massage” shower head that automatically senses the available water pressure and adjusts to deliver 2.5 gpm. Judge your present shower head’s flow rate by holding a gallon container under the head and clocking the time it takes to fill. If it fills in 15 seconds, the flow rate is about 4 gpm. If it’s full in 10 seconds, the flow rate is closer to 6 gpm. A low flow shower head should take 24 seconds or more. There are two main types of low flow shower heads: the regular, stationary type and hand-held models attached to a flexible hose. 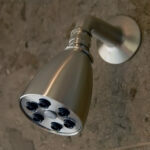 Most hand-held shower heads can be clipped onto a wall-mounted hanger, swivel, or bar for hands-free showering. 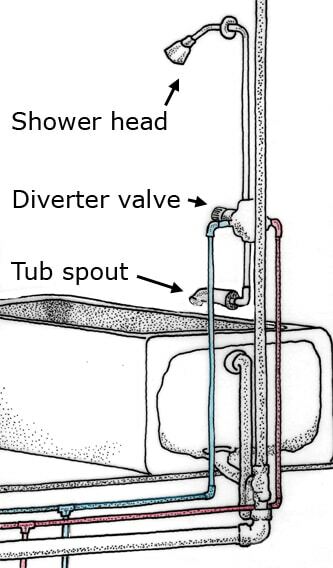 The flexible hose screws directly onto the shower arm, onto a diverter valve between a standard shower head and the shower arm, or onto a deck-mounted diverter valve on a bathtub. Hand-held models are generally a bit more expensive because they include a flexible hose, but they are also more versatile and use water more efficiently by directing the flow to where you want it. 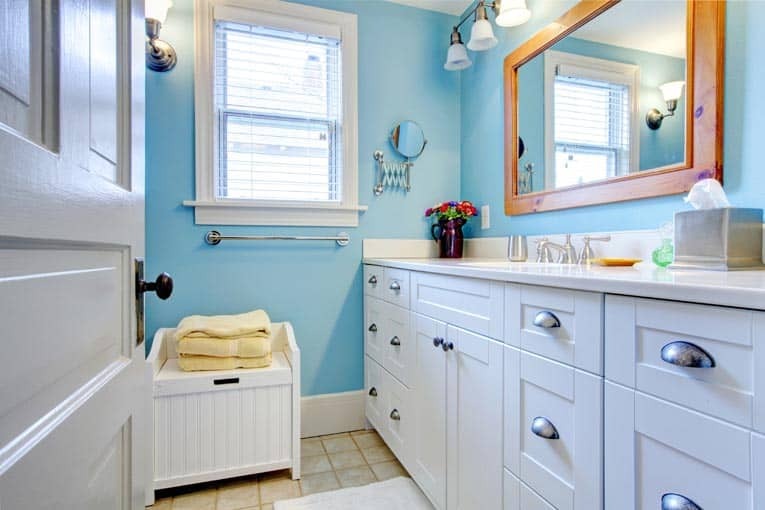 As a class of fixtures, they also offer a slight energy savings over stationary heads because the water travels a shorter distance between the shower head and your body, cooling less in the air. The net result is that you can adjust the water temperature slightly lower. Prices for low-flow heads range from less than $10 for simple, no-frills plastic ones to more than $100 for designer heads. The cost of a particular shower head has little to do with how well it delivers a satisfying shower. Cost is more a gauge of features and the construction materials and finish. Two heads in one! Combination hand-held and stationary shower head offers many options. Buy on Amazon. One of the main features of the best low flow shower heads is the ability to adjust spray settings—narrow to wide, spray only, pulse, and so forth. This is particularly handy if different family members like different types of spray. The easiest types to use are those that have an adjustment ring or lever on the outside of the head so that you don’t have to reach into the center of the water stream to adjust them. One other handy, water-saving feature is a shutoff at the head. This cuts water to a trickle while you soap up or wash pets or kids. 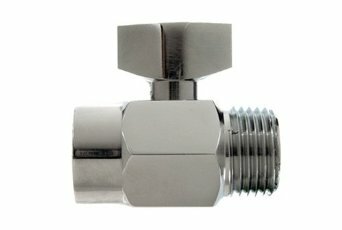 Simple shower shut-off valve allows flow control at the shower head. 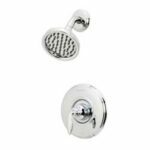 There are two other devices that aren’t really shower heads but help save water in the shower: flow-control inserts (basically a washer with a small hole to reduce water flow) and shower shut-off control valves that reduce flow and provide on/off control above the head. These fit between the shower pipe (arm) and shower head and cost about $14. Some shower heads combine water-saving technologies. 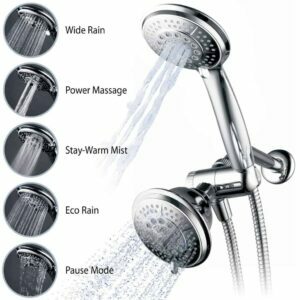 For example, the Evolve shower head pictured top right offers low flow at 1.59 gallons per minute but also features an ingenious valve that allows you to save water and the energy used to heat it before you step into the shower. You can turn on the water to let it warm up and go brush your teeth—the valve automatically reduces the flow to a trickle once the temperature reaches 95 degrees Fahrenheit. Then, when you’re ready to shower, you simply flip the valve for full flow. Evolve estimates the head saves about 8 gallons of water and the energy to heat it for every five- minute shower. Over a year, this can save you more than 2,000 gallons of water. It costs about $30.